Pretty little traditional cottage in the picturesque village of Bredon's Norton in the Cotswolds, close to Cheltenham. 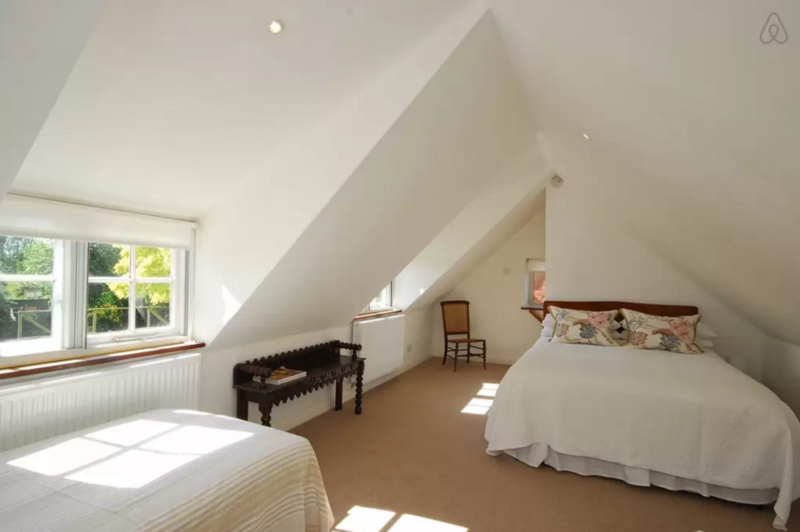 This cosy rental property in the Cotswolds has been tastefully refurbished into a luxurious self catering cottage with accommodation that comprises of four bedrooms (three doubles, one double with two singles) and two bathroom/shower rooms. There is also a traditional sitting room, dining room, fully equipped kitchen and a sunny conservatory. There is on-site parking available on the front drive. Warm yourself by the log burner and inglenook fireplace for those colder winter nights. The cottage also has an enchanting enclosed garden with patio area providing seating and BBQ under a pergola. The local village provides an excellent base for walkers and cyclists with Bredon Hill and the River Avon on its doorstep and the beautiful Malvern Hills just a short drive away. Situated in the picturesque village of Bredon’s Norton, a designated area of ‘Outstanding Natural Beauty’, this delightful 17th Century detached cottage is an extremely popular choice for groups or families travelling from differing locations. The surrounding area has a wealth of country inns and pubs and the village farm shop provides excellent local produce for guests wishing to cook at home. The Cotswold villages of Broadway, Stow-on-the-Wold, Moreton-in-the-Marsh, Winchcombe and Bourton-on-the-Water are all close by. You can also easily reach the regency spa town of Cheltenham, Bath, Oxford and Shakespeare’s Stratford-upon-Avon. There is a wealth of historical sites of interest nearby including Sudley Castle, Blenheim Palace, Tewkesbury Abbey, the Cathedrals’ of Hereford and Worcester plus numerous National Trust and RHS properties. Cheltenham Racecourse, some 8 miles away, has a full calendar of events throughout the year, including the famous Gold Cup.